Give your face the special care they deserve with this invigorating facial scrub! Granules from natural Dead Sea Salt and Mud remove dry, rough patches on the face and neck. Directions: Massage the scrub on the desired part with fingertips. Rinse well with warm water. 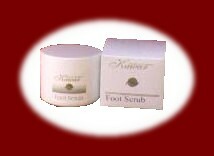 Follow with Kawar Dead Sea Day or Night creme. patches on the elbows, soles and heels of feet.